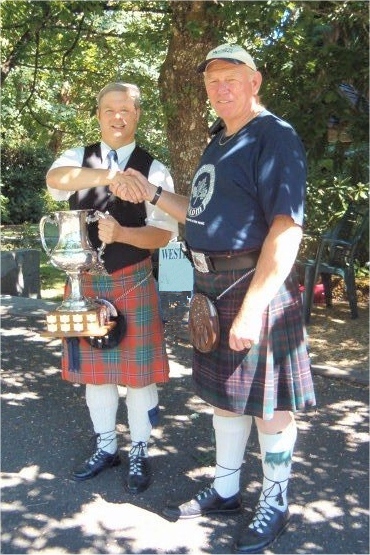 The Seaforth Trophy is a beautiful silver cup designed in 1912 and donated to the Western Academy of Pipe Music by the Seaforth Highlanders. Each year at the summer school, an open amateur March, Strathspey and Reel is held, with pipers vying for the coveted cup. Past winners include Murray Huggins, Ed McIlwaine and Alan Bevan.